Whether your cottage is little more than a big tent on a small campground (we owned one of those for years) or a five star all season holiday house, issues with allowing your adult children to use the cottage invariably crop up. As cottage season comes to a close, I’m reflecting on how we managed this year. We love having our kids and their spouses and their friends at our cottage, but it’s important that my husband and I don’t end up as servants in our own place. There is nothing worse than cleaning up after your adult kids and it is a complaint I hear often from cottage owners. The sound of resentment is not pretty. This is true whether the kids are at the cottage alone with their friends, or there with us. After several stabs at finding the right balance, I think we have finally come to an understanding of how our family needs to operate. Our guidelines apply particularly when they are there with their friends. The cottage is left in the same condition it was found. All uneaten food brought to the cottage goes home, including condiments, cookies, fruit and half eaten bags of chips. This relieves me of spending time cleaning out the fridge and combining bottles of mustard, relish and ketchup. We also can’t manage to eat all the leftover food and I hate throwing it out. Nothing is left except unopened bottles of wine or beer, but there is no obligation to do so. The garbage goes to the dump or back to the city, including beer and wine bottles. Sheets are washed and beds are made. Because of a quirky privacy issue on our part, the only people that may sleep in our room are our children and their spouses. Any food in our cottage is up for grabs, unless I specifically say something is being saved for another occasion. The kids have not abused this. They tend to use spices, nuts, and basics such as flour and oatmeal. During the 10 prime weeks of summer, the cottage is for everyone. The general rule is that any one is welcome anytime, including friends. It makes sense if they check with my husband and me first in case others have already been invited and there will be a shortage of beds or co-ordination of food is needed. The kids may also decide they don’t want to spend time with people we have invited. Unless we are going away for the weekend, usually no-one gets exclusive use of the cottage. However this has happened on occasion and this certainly happens during the week. We used to allow our kids one weekend each during prime summer time, but we found ourselves cooling our heels in a hot city. 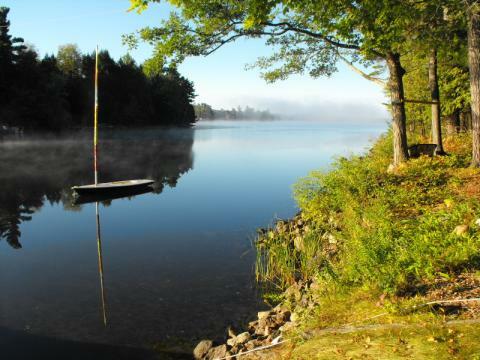 The kids can reserve the cottage on weekends for a party with their friends at other times of the year. One of the things I learned very early in parenting children is that I must say what I mean and mean what I say. On occasion I have had to remind the kids about our rules. That can be hard because I worry about driving them away. That’s the last thing I want to do. But I remember what a counsellor once said to me: you can say anything to anybody as long as you say it nicely. Good advice, for dealing with cottage concerns or anything else for that matter! Wow, it sounds like you have had some demanding guests! Could you send them your requests before they arrive? What do you say to those demanding guests (bedsides not inviting them again) who say they only use cream in their coffee and you only have milk? What do you say to those who complain about internet service, temperature, etc. or family relatives who assume they are entitled to a yearly holiday? Looking for others experiences and solutions. I, too, am printing them off for our kids. I have an addition: please do not turn the dishwasher ON, and close off the water to the cottage and leave!! Yes! That happened last weekend. It is very harmful to the motor of the dishwasher…which was just installed 4 weeks ago. The good thing is that I know it will never happen again. Lesson learned! Because I do not have a washing machine or dishwasher (other than whoever volunteers) it is important that all pitch in. I have not had a big problems. But our place is rustic—no internet, and no TV and sometimes I think that prevents guests whether family or not who just want to be waited on. It is a matter of being a good guest even in your parents place!